Rail transport takes people and goods safely and rapidly from A to B. Once on rail, reliable and powerful technology is required. Every designer is faced with the challenge of developing safe, cost-efficient and fast rail vehicles. Röchling Engineering Plastics SE & Co. KG in Haren/Germany offers Durostone® UPM S13 LST and Polystone® MK FL, two flame-retardant plastics which are now certified to the relevant requirements of the new European rail vehicle standard EN 45545-2:2013. Röchling thus expands its range of products and materials for the demanding industrial sector of railway engineering. The design of rail vehicles places particular emphasis on the safety of passengers and personnel. Durostone® UPM S13 LST is a glass-fibre reinforced plastic consisting of unsaturated polyester resin reinforced with glass mat. The suffix LST stands for Low Smoke & Toxicity. Durostone® UPM S13 LST is specially formulated to produce only a small amount of smoke and toxic gases in the event of a fire. The material thus makes it easier for designers to comply with the high safety requirements in railway engineering. Durostone® UPM S13 LST meets requirement R11, hazard level HL3, for arc resistant insulation materials of EN 45545-2:2013. With a high glass content and specially developed resin matrix, Durostone® UPM S13 LST offers high strength both at room temperature and at higher temperatures. The density of 2.10 g/cm³ makes it possible to manufacture components that are lightweight but at the same time have high mechanical strength. Typical areas of application are mounts on bogies for current collectors (shoebeams), cover plates, snuffer boxes, switchgear, throttles and design elements for dry-type transformers. The material is supplied to customers in the form of pressed sheets, pultruded profiles, machined components and compression-moulded parts according to customer drawings. In the area of thermoplastics, Röchling offers Polystone® MK FL, a flame-retardant PE-UHMW which now meets the relevant requirements of the new European rail vehicle standard EN 45545-2:2013. With a very low density of 1.0 g/cm³, this material supports the lightweight construction of rail vehicles, whilst offering excellent slide properties and high abrasion resistance. The properties of Polystone® MK FL make it particularly suitable for components which have to meet high requirements in terms of slide properties and abrasion resistance. Examples of typical components are slide elements, cable clamps and linings. 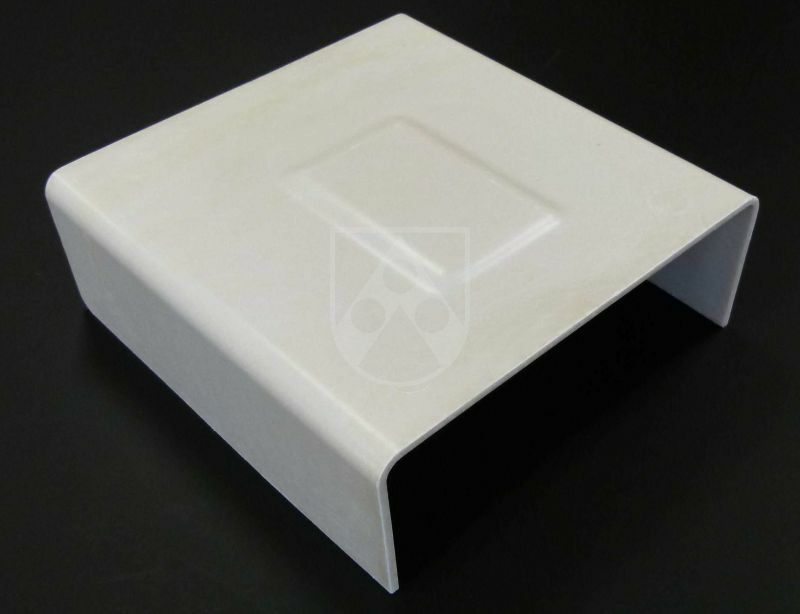 Polystone® MK FL is available in the form of pressed sheets and high-quality machined and extruded parts in accordance with customer drawings in small and large dimensions, with complex geometries and close tolerances. With Durostone® UPM S13 LST and Polystone® MK FL Röchling is expanding its product range for materials are designed for railway engineering applications and are certified to the relevant requirements of the new European rail vehicle standard. The standard tightens up fire safety requirements and superseded the national rail vehicle standards at the end of March 2016. When Röchling introduced SUSTAMID 6 FR back in 2013, it was the first manufacturer to bring to market an extruded flame-resistant polyamide as a semi-finished product. The material meets the relevant requirements of EN 45545-2:2013. Röchling offers MAYWOflamm® plus, a material suitable for vacuumforming specially designed for internal panelling in rail vehicles. 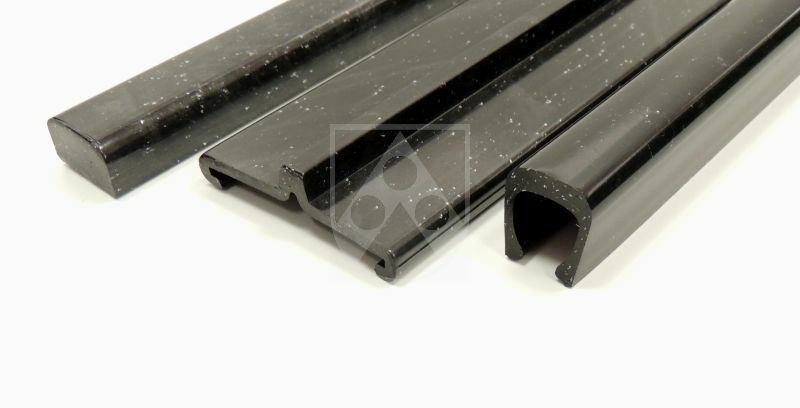 Customers are also supplied with Röchling Durostone® glass-fibre reinforced profiles, which are used for external and internal panelling in rail vehicles around the world because of their low weight, high strength and flame-retardant properties. The plastics processor is also certified to class A1 of DIN 6701-2 for bonding rail vehicles and parts at its site in Haren.